Chris Brown burst into the music scene as a young 19-year-old. His wide-eyed innocence seemed to endear him to a host of fans spread across the globe. The singer has come a long way since then with many hits and scandals under his belt. His talent of singing and dancing has, however, enabled him to hold on to his fame despite some ugliness that he has been involved in over the years. Below we look more at the interesting life of the music star. He was born as Christopher Maurice Brown in Tappahannock, Virginia on May 5, 1989. His musical bent was evident from a young age as he was a part of his church choir and took part in several local talent shows while growing up. His mother was a director at a daycare center. Her name was Joyce Hawkins and she had been married to Chris Brown’s father Clinton Brown. Chris Brown also has an older sister that is named Lytrell Bundy who took a vastly different path and works in a bank. From a very young age, Brown taught himself to sing and dance. Michael Jackson was a big inspiration for him and he would also listen to the soul albums that his parents owned before he started to show interest in hip-hop. His mother was probably his earliest fan and recognizing his talent she began to search for a record deal for her son. The family was, however, split up with his parents getting divorced. His mother got a new boyfriend who subjected her to domestic violence and scarred the young Brown. In 2004, Chris Brown’s musical dreams seemed to come true as he was signed to Jive Records. In 2005 he released his debut studio album that was self-titled and it climbed all the way to number two on the US Billboard 200. His debut album would go on to sell over three million copies worldwide and the Recording Industry Association of America (RIAA) certified it as double platinum. He rode the wave of his success to a lot of successful collaborations with various artists. Chris Brown has also ventured out a little into acting with a first on-screen debut in a feature film in 2007 for the movie Stomp the Yard. He has also appeared in such films as This Christmas (2007), and Battle of the Year (2013). His career has been blessed with awards including 5 Billboard Music Awards, 14 BET Awards, and 5 Soul Train Music Awards. Chris Brown stands at a height of 6 ft 1 inch, or 1.85 meters and weighs 82 kilograms or 180 pounds. His weight and height are considered an ideal build and the singer keeps in shape by hitting the gym and dancing. At one point after coming out of jail he added a little weight climbing up to 215 pounds a reality that he has admitted to being self-conscious about. Dancing and basketball had been his go-to activities to lose the weight and get back in shape. Five years after the start of a brilliant career, Chris Brown received massive media attention for something other than his music. He pleaded guilty to a felony assault charge of his then-girlfriend and superstar Rihanna. He received a sentence of five years of probation and six months of community service. It was a rough time for Brown with his record being pulled from several radio and T.V stations but ultimately his career survived the terrible incident. Chris Brown’s other widely covered relationship began in 2011 with aspiring model Karrueche Tran. It ended in October 2012 and Chris Brown announced it giving the reason that he was not looking to hurt her over his friendship with his former girlfriend Rihanna. In January 2013, Rihanna announced that the two were once again in a romantic relationship. The relationship ended in May 2013 and Chris Brown reunited with Karreucher Tran. Chris Brown’s rekindling of his romance with Karreuche Tran was not to last long as the two split up in 2015 over the confirmation of Chris Brown’s daughter with Nia Guzman. Chris Brown had apparently had an affair with Nia Guzman that had ended up in a child. Guzman gave birth on the 27th of May 2014 but Brown was said to be in the dark until March 2015. The two got together, probably for their daughter’s sake, but eventually broke up. They have been caught in several public spats over their daughter. Chris Brown’s daughter is named Royalty, she was born on May 27, 2014, out of Chris Brown’s relationship with Nia Guzman. 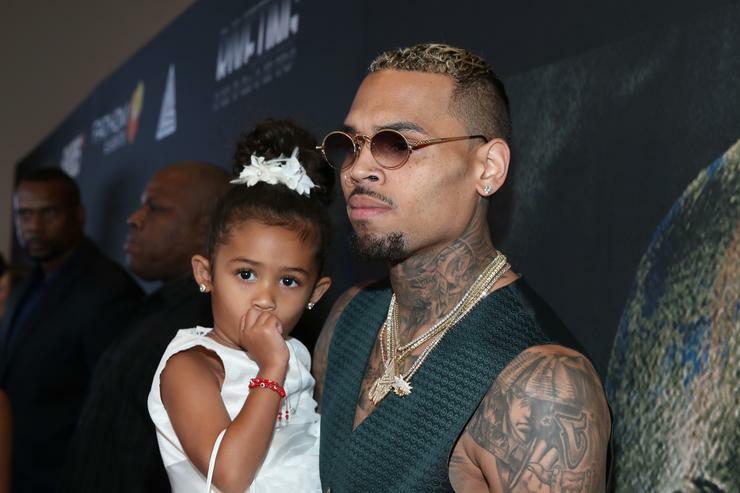 The two entered a heated custody battle for Royalty that ended on August 14, 2016, with Chris Brown being granted 12 days a month to see his daughter. Chris Brown is said to currently be worth $30 million a really neat sum that he has no doubt gathered over the course of the decade he has spent singing and producing music. Chris Brown has also said that he owns fourteen burger king restaurants and in 2007 he founded the record label CBE (Chris Brown Entertainment or Culture Beyond Your Evolution).